Bill and Hillary Clinton made $10.6 million in income in 2015, according to tax returns released by the Democratic presidential campaign Friday. This placed the Clintons in the top 0.02 percent of US families. Fewer than 30,000 US families made as much as the Clintons last year, a further demonstration of how far the former "first family" has advanced since Bill Clinton left the White House in January 2001. In the nearly 16 years since then, the Clintons have netted at least $200 million in income, most of it from making speeches to corporations, Wall Street firms, universities, Washington lobbyists, trade unions, and anyone else willing to fork over $200,000 or more to hear the former president or his wife. Hillary Clinton's Republican opponent, Donald Trump, is by reputation a billionaire, placing him in the top 2,000 US households for income, although he has refused to release any tax returns that could verify his income level and tax payments. The Clinton campaign released the family's tax return as part of a political effort to put more pressure on the Trump campaign to do likewise. This was coordinated with a prominent article in the New York Times suggesting that Trump was unwilling to release his tax return because he had used many lucrative deductions available to real estate speculators, cutting his tax liability to zero. Other possibilities suggested by the Times are that Trump's personal fortune is far less than the $9-10 billion he has claimed publicly, or that his tax returns would document income from investments with Russian oligarchs. The latter charge is part of a persistent McCarthy-style campaign spearheaded by the Times, suggesting Trump's candidacy represents Russian government interference in the US elections. The Clinton tax return demonstrates the vast social gulf that separates the Democratic presidential candidate from the working people whose votes she seeks in the 2016 election. The November 8 election represents a "choice" between two candidates from the financial aristocracy, both of whom uphold the interests of the super-rich against working people. The $10.6 million raked in during 2015 actually represented a significant decline for the Clintons, whose combined income reached $27.9 million in 2014, their largest ever, thanks to $23 million in speaking fees divided roughly equally between the former president and the former secretary of state. In 2015, by contrast, Bill Clinton earned the lion's share of the speaker's fees, some $4.4 million, while Hillary Clinton netted "only" $1.1 million, since she stopped taking money for appearances before corporate audiences after declaring her candidacy for president. Hillary Clinton also reported $3 million in revenue from her book Hard Choices, a memoir of her four years as secretary of state. The current year 2016 is likely to mark a low point in the Clinton buck-raising, since neither Clinton has been able to make paid appearances because of the requirements of the election campaign. Not to worry, however. From 2007 through 2015, the Clintons reported making a total of $149 million over nine years, out of which they paid taxes totaling $48 million, and gave $16 million to charity (most of it to their own charitable entity, the Clinton Family Foundation). That means they enjoyed after-tax income of some $85 million, the bulk of which they would have put into investment accounts. A fortune of, say, $75 million would place the Clintons in the top 20,000 US families in terms of total assets. 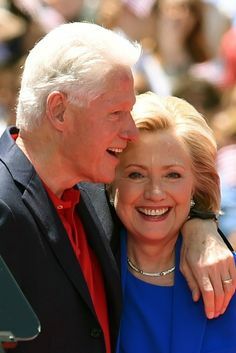 During this period 2007-2015, which includes six years when Hillary Clinton was on a federal salary, as US senator for New York and then secretary of state, Bill Clinton made the bulk of the income, including $105 million from delivering more than 540 speeches. The average annual Clinton family income over this nine-year period, $16.3 million, is 300 times the median US household income, $53,482. In other words, Bill and Hillary Clinton typically earned every day about what the typical US working-class family made in a year.